This is a 20'x30" Giclee print. The original watercolor painting is 40"x60". Signed, numbered, limited edition giclee prints in four sizes are available. Numbers 1-25 are 40"x60" and are $995.95. Numbers 26-225 are 20"x30". Numbers 226-326 are 30"x 40" Numbers 326-425 are 10"x15". Prints are on 225 gram radiant white velvet enhanced paper. The original along with 16 others was on display at the Automotive Hall of Fame Museum in Dearborn, MI in a solo exhibition that lasted 18 months. 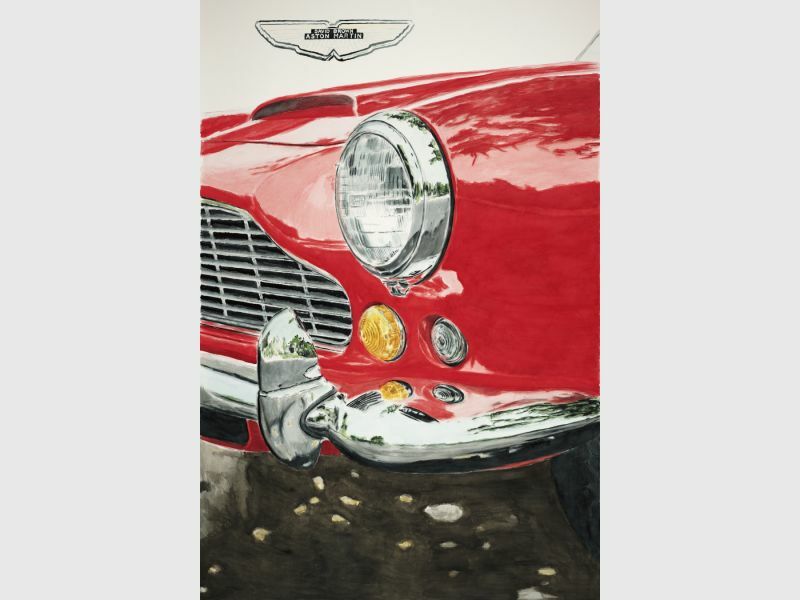 Richard Lewis is a member of the Guild of Motoring Artists.